Every historic Nantucket house has a story. A House History will follow the evolution of your house from its origin to the present. Deeds, plot plans, probate and cemetery records, family papers, town records, newspapers and census records are just a sampling of the sources investigated. With three different levels to choose from, a NPT House History gives you a record of your house through time. Each history is beautifully illustrated with drawings, historic photographs and/or maps from the collection of the Nantucket Historical Association. 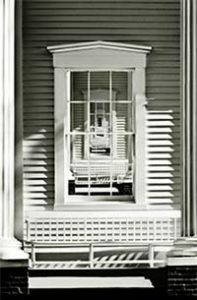 The story of your Nantucket house will be preserved in our island’s history. As part of the Nantucket Preservation Trust’s educational mission, copies of the histories produced by NPT are presented to the Nantucket Historical Association and the Nantucket Atheneum for inclusion in their research collection. The shortest of our three House History options, a Brief History is approximately six to eight pages in length and encompasses a one-page narrative of the history of your home, a chain of title, and a selection of historic photographs. Priced at $1,250, this professionally printed pamphlet is a great way to document your historic home. The second largest House History, a House Genealogy is a 7×7 hardcover book that includes a thoroughly researched narrative with a selection of photographs and maps that illustrate your house and neighborhood. Priced at $6,000 these House Genealogies will take some time to perfect, about six to eight months, so order in well in advance if considering it as a gift! See the link below to view a chapter from a House Genealogy sample in the standard format (PDF). The largest and most comprehensive of our House Histories is a beautifully illustrated 75 page, 8 x 10 book that is ideal for a landmark building or property with extensive documentation. Each Comprehensive House History includes an architectural description, an architectural terms glossary and a timeline of local, national and world events. These full loaded Comprehensive Histories are valued at $12,000 with a portion of this cost being tax-deductible, please allow eight to twelve months for the completion of your House History. Make any of our House Histories a Comb package by adding one of our painted House Markers for a discounted rate! Contact the NPT office today at 508-228-1387 to receive a quote for a House History and Marker Combo!